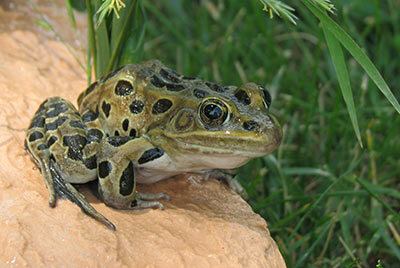 You are here: Home / Nature News / Nature News / Is buckthorn killing frogs? In recent years more than 160 species of amphibians are reported to have gone extinct worldwide. Scientists are searching for answers and recent evidence from Chicago’s Lincoln Park Zoo and Northern Illinois University points to buckthorn as one of the problems. Invasive European Buckthorn emits a toxin called Emodin from its leaves, bark, roots and fruit. Emodin is toxic to developing amphibian embryos. The highest level of Emodin in the environment is during leaf-out, which coincides with the peak early-breeding activity of Midwestern amphibians. What can YOU do? November is a great time to spot buckthorn growing on your property as they are one of the only trees that will retain green leaves at this time of year. To read more about buckthorn, how to recognize and eradicate it please see the resources available at the Washington Conservation District and the Minnesota DNR . https://carpenternaturecenter.org/wp-content/uploads/2016/09/25-adoptions.jpg 268 400 Carpenter Nature Center https://carpenternaturecenter.org/wp-content/uploads/2016/08/carpenter-nature-center-logo.png Carpenter Nature Center2016-10-09 18:32:132016-10-09 18:33:23Is buckthorn killing frogs? Christmas Bird Count Pollinators in trouble!